Use the simulators for designated training as well as amazing course playing experiences with TrackMan’s own newly launched Virtual Golf software. That is why TrackMan is used by a vast majority of the game’s leaders: from world renowned coaches to more than 800 top performing tour players to practically every golf equipment manufacturer in the industry. 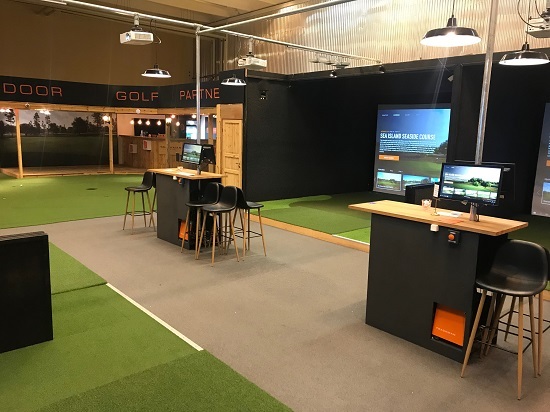 TrackMan has developed their own brand new course playing software in which graphics, gameplay and outstanding tracking gives you the most immersive experience of indoor golf ever. It is extremely intuitive and easy to use, so everybody feels at home using the software right from the start. The number of courses grow every year as does the development in realistic graphics and online tournaments. At Indoor Golf Partner, we are proud to be TrackMan’s Indoor Golf installation partners for Europe, Middle East and Africa. You need to bring your own clubs and these should be clean prior to playing. Please remember that we only use new balls with no markings on them. It takes app. 1 hour to play 18 holes for one person. You can squeeze it in on your way back from work! Our facility is perfect for every type of event. From Pro-Ams to summer parties. You can choose between 33 great courses on all our simulators in TrackMan’s brand new Virtual Golf software. More courses to come during the year! We are TrackMan’s partner for simulator design and installations in all of Europe, Middle East and Africa. The center is therefore also being used as one of our European showrooms. 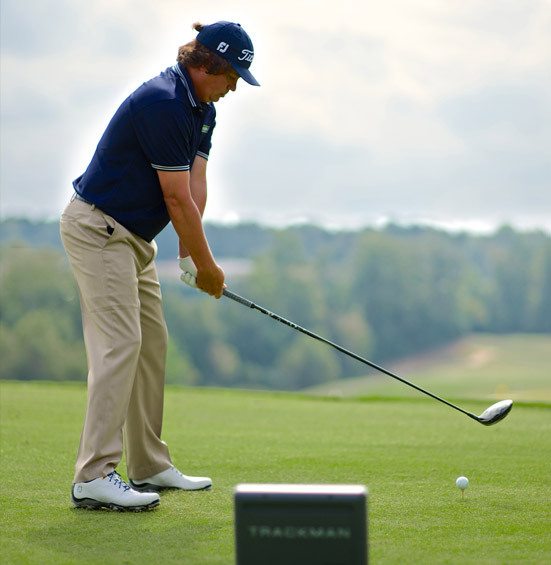 The development of TrackMan brought with it a huge change in the golf industry. It is the choice of professional tour players and coaches when quantifying practice sessions. TrackMan is also used for club fitting and development of new golf equipment as it displays the shot’s actual 3D trajectory together with 26 impact and ball flight data in real time. TrackMan uses Doppler Radar to track your ball. The radar registers the ball at impact and follows it in the air. Only 3 meters of ball flight is neede indoor to measure the ball’s precise trajectory and spin rate. The radar tracks your club head’s movement and can therefore measure all vital parameters of your swing. This results in vital, accurate and consistent information on all swings. At Indoor Golf Partner you can work on your game with TrackMan Performance Studio. You can do a personal profile on www.mytrackman.com and get a report sent to your email with data on all your shots. You can also do a Combine Test, which is a standardized test based on 60 shots at different carry lengths. The test is widely used in the golf community and you can compare and benchmark your score against those of professional golfers. A TrackMan Simulator is a second to none indoor golfing experience. 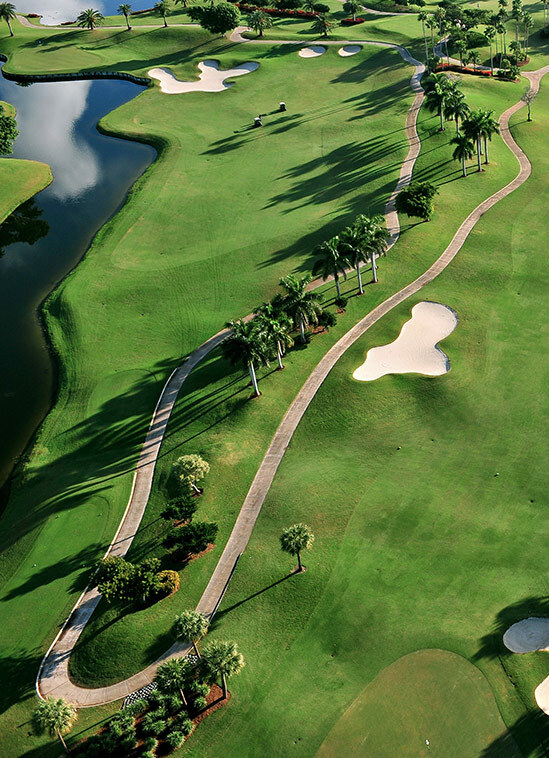 In our center, you are welcome to use your own clubs and balls and you can use regular wooden tees for your drive. Many other tracking systems and simulators react to a ball and/or club passing through laser or another source of light. These facilities only estimate ball speed, direction and spin and the trajectory output is therefore a calculation with uncertainties. TrackMan on the other hand is capable of measuring the ball and can ”see” ball speed, spin rate and spin axis which are vital parameters when showing you how long (and hopefully straight) your shot was. The result is an accurate measurement of draw/fade just as if you were out there on the course. When doing short wedge shots, spin rate has great significance for how long you ball stays in the air and how it reacts when it hits the green. In a TrackMan Simulator, you will experience a realistic difference when changing between wedges/irons and types of swing. Just as outside. TrackMan measures what you do and shows it on the large hitting screen in real time. The computer-animated greens can be set to different speed and hardness according to your wish. TrackMan 4 measures you putt! With the very latest technology, TrackMan also measures putting. You can even do Performance Putting with TrackMan’s TPS software. At Indoor Golf Partner, the roll speed on the artificial putting turf matches the speed of the greens in the Virtual Golf software. A 2 meter physical roll in our simulator corresponds to a 2 meter virtual roll on an even green with medium speed. The ball does not necessarily have to hit the screen to be registered. – We look forward to welcoming you as a member at Indoor Golf Partner! If you do not have a booking, you are always welcome to drop in for some putting/chipping or to see if a simulator is free!